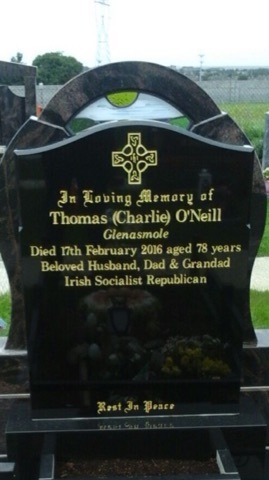 Thomas (Charlie) O’Neill was born in Drimnagh in Dublin on 20th December 1937 and was a dyer by trade. His family had fought with the United Irishman and the Fenians. He was a Socialist Republican with a sharp wit who loved classical music, the Irish Times, a glass of wine and, especially, his family. 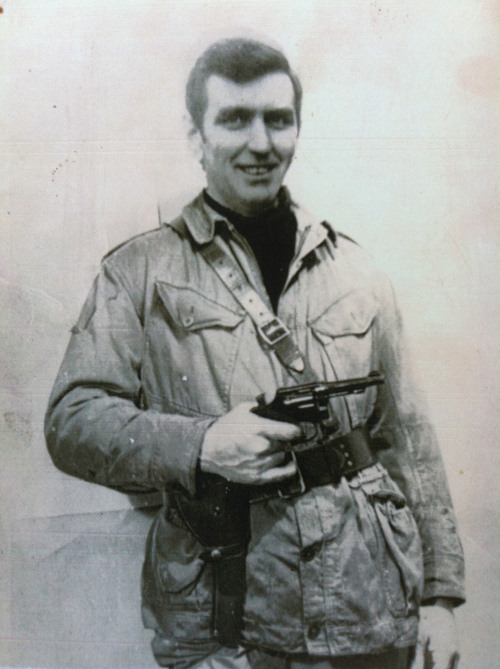 As a young man, Charlie joined the Irish Republican Army where, with a large number of Dublin volunteers, he became involved with the breakaway Joe Christle group. 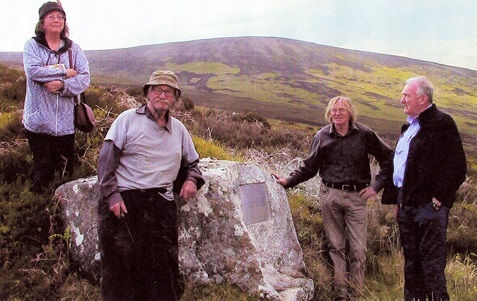 In 1956 they joined forces with Liam Kelly’s organisation Saor Uladh in Co. Tyrone. Christle and Kelly were annoyed at the lack of action by the IRA, although the IRA leadership were actually putting together plans for Operation Harvest aka “the border campaign”. Saor Uladh went on the offensive and attacked the RUC barracks in Roslea, Co. Fermanagh in 1955, custom post telephone exchanges, bridges, B-Special drill halls as well as demolishing lough gates at Newry. 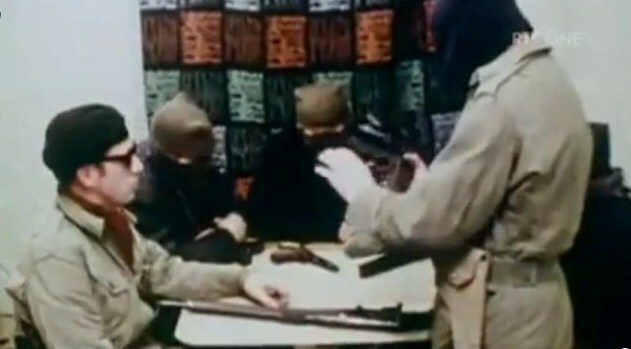 When the IRA began its own campaign in 1956, Saor Uladh was subsumed back into it. 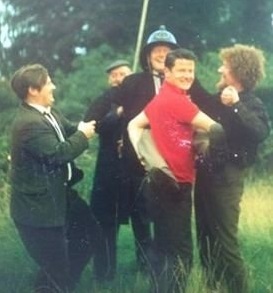 With the failure of Operation Harvest, Charlie moved to Cork. He worked in a shoe factory there during the early 1960s and eventually bought a cottage in Crosshaven. He became good friends with many of the University College Cork socialists as well as Jim Lane and Gerry Higgins from Irish Revolutionary Forces. 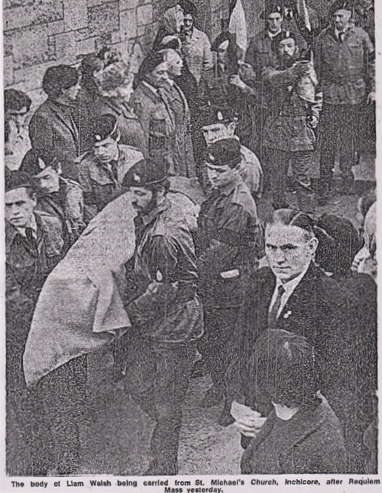 Charlie, Gerry and Jim attended an anti-Vietnam War protest, organised by the Cork Vietnamese Freedom Association, during the berthing of USS Courtyney in Cork harbour in 1967. At this time Charlie also became good friends with the legendary Tom Barry who had commanded the IRA’s Third West Cork Flying Column during the Irish War of Independence, fought on the anti-Treaty side in the civil war and briefly became IRA chief-of-staff in 1937. (Left to Right) Lucille Redmond with Republicans Charlie O’Neill, Simon O’Donnell and Bryan McNally. 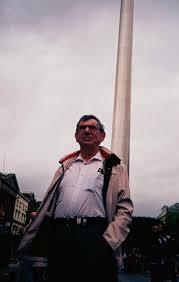 Upon his return to Dublin, Charlie was associated with the radical National Civil Liberties League. The NCLL agitated around industrial disputes and tenant and traveller rights. 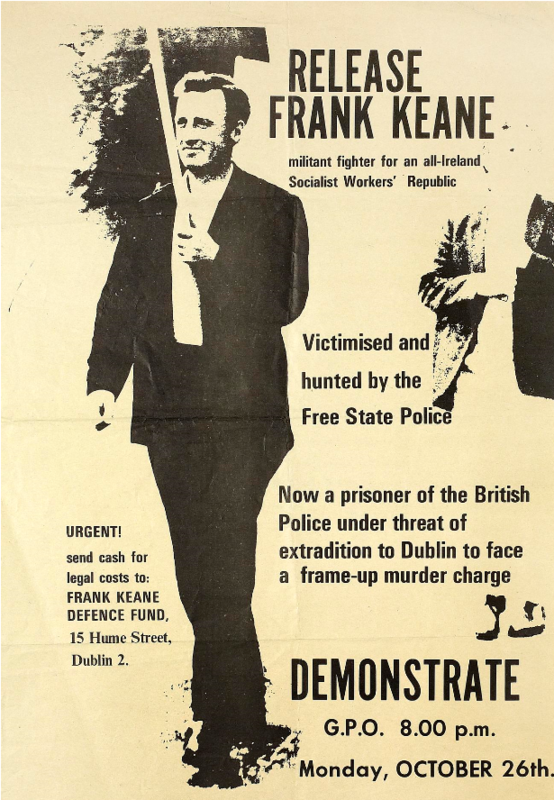 Later he became involved in the Saor Éire Action Group, a militant Marxist-republican group which included prominent former members of the IRA like Frank Keane and Liam Sutcliffe and Trotskyist activists associated with the Fourth International. 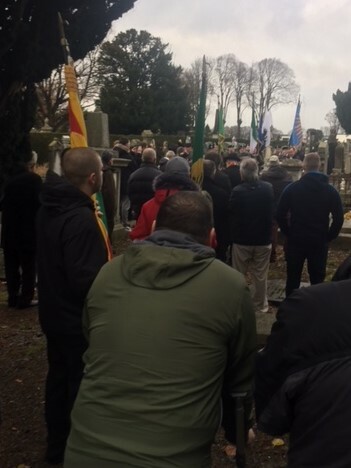 Friends and comrades of Liam Sutcliffe have organised a commemoration to mark Liam’s passing and his contribution to Irish national liberation and socialism. The commemoration will be starting at St Patrick’s Cathedral at 1pm on Sunday 3rd December and marching to Mount Jerome Cemetery. This is an independent commemoration, so please no party political material, but all Republicans welcome. The Liam Sutcliffe Commemoration Committee has set up a facebook page, here. Reposing at the Fanagan Funeral Home, Aungier Street, Dublin from 5pm until 7.30pm, Tuesday, 7th November, with family in attendance. Requiem Mass at 11.30am on Wednesday, 8th November, in Church of Our Lady of Mount Carmel, Whitefriar Street (Aungier Street), Dublin. Funeral thereafter to Mount Jerome Cemetery, Harold’s Cross Road, Dublin 6W. Socialist-republican and former Saor Éire activist Liam Sutcliffe passed away suddenly at his home in Greenhills, Dublin on Friday 3rd November, 2017. His wife Bernadette, to whom he was married for over 60 years, died in February 2016. 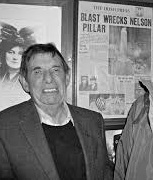 Liam came from an historic Dublin working class area, The Liberties, and was recruited into the Irish Republican Army along with Tomás Mac Giolla in 1954. Within a few months he was operating as an IRA agent in Gough barracks in Armagh, passing important information to the Republican Movement. Liam Pearse Walsh, who was born in Dublin in 1933, was totally committed to whatever he did: to his trade as a fitter-welder or the Socialist Republican struggle. He was fiercely loyal to those around him: his comrades, family and especially his four young daughters. 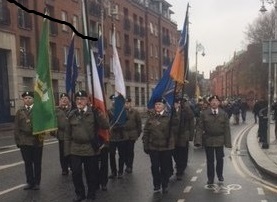 Recruited into the Irish Republican Army by Liam Sutcliffe in 1954, Liam Walsh was active in Operation Harvest, the IRA border campaign of 1956-1962, eventually becoming the Commanding Officer of the South Dublin Unit of the IRA. In 1957, he was interned without trial in 1957 in the Curragh Internment Camp in Co. Kildare. His girlfriend, Jacqueline Barry, and his father, Joseph, visited him and brought food parcels and cigarettes.